The time of year and winds will influence numbers of seabirds and cetaceans but whatever the conditions Godrevy is a wonderful place to visit. Godrevy Point is on the northern point of St Ives Bay on Cornwall’s north Atlantic coast. 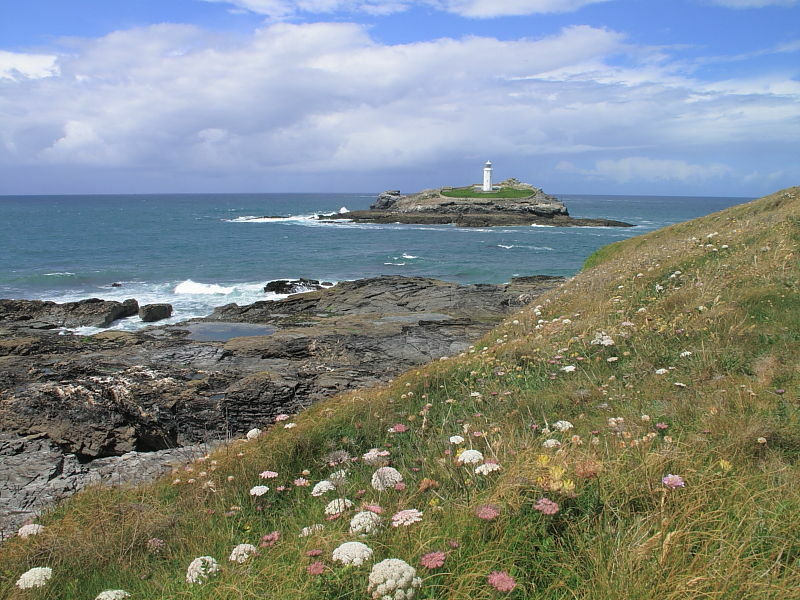 Godrevy lighthouse is sighted on a small island, Godrevy Island, separated from the tip of the headland by a narrow channel of water. 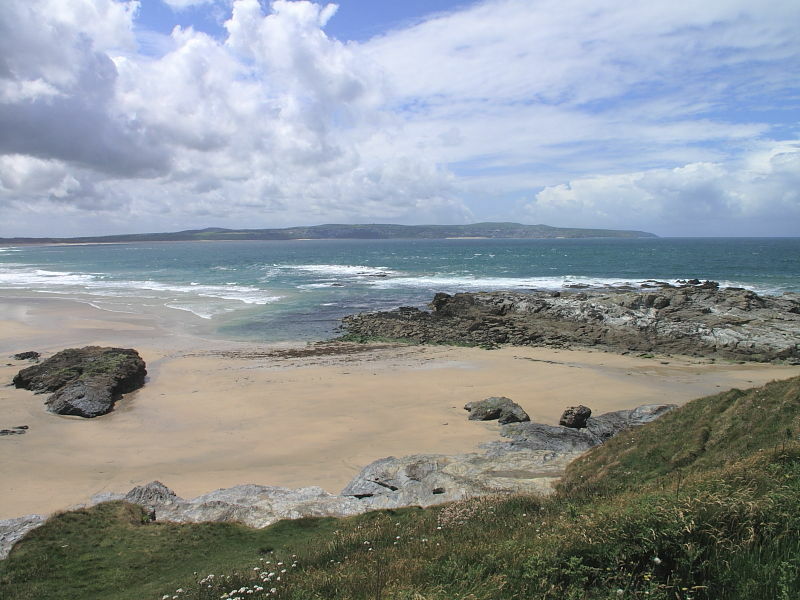 From the headland spectacular sweeping views can be had of St Ives Bay, the lighthouse and surrounding rocks and round northwards towards Trevose Head. St Ives Island on the western side of St Ives Bay is also an excellent place to sea watch. A single lane access road off the B3301 leads to the National Trust car park and the Godrevy Café. This car park is open throughout the year and is popular with surfers and those heading for the beach. Some limited parking is available further on nearer the point. In season additional National Trust parking is provided in a field closer to the point. Almost anywhere around the headland offers great views of the sea. 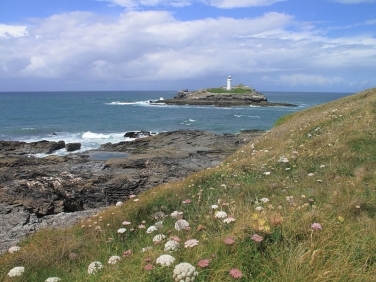 The most productive spot is often overlooking the narrow channel between the headland and Godrevy Island with its lighthouse. 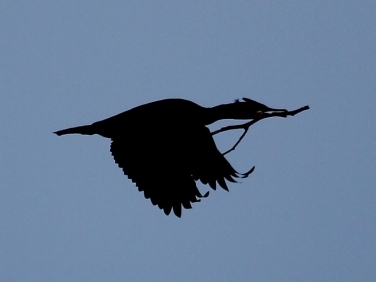 This can act as a thoroughfare for many species of bird. During the breeding season a steady stream of Cormorants and Shags pass close to the cliffs carrying nest building material. Grey Seals can be seen throughout the year, often close in to the rocks. 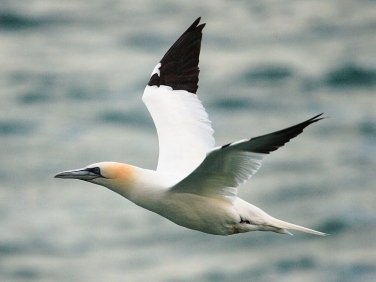 Their numbers begin increasing in the autumn and by January over 100 may be hauled out in Mutton Cove, located on the northern side of the headland. 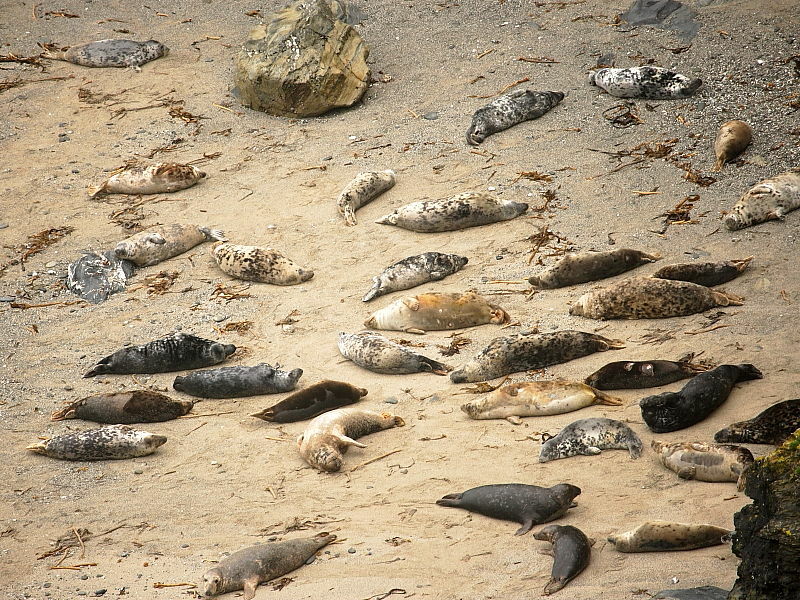 Good views of seals can be had looking down on Mutton Cove from the cliff edge close to the South West Coast Path. Dolphins and Harbour Porpoises are recorded annually from the cliffs throughout the year but their appearances are unpredictable. 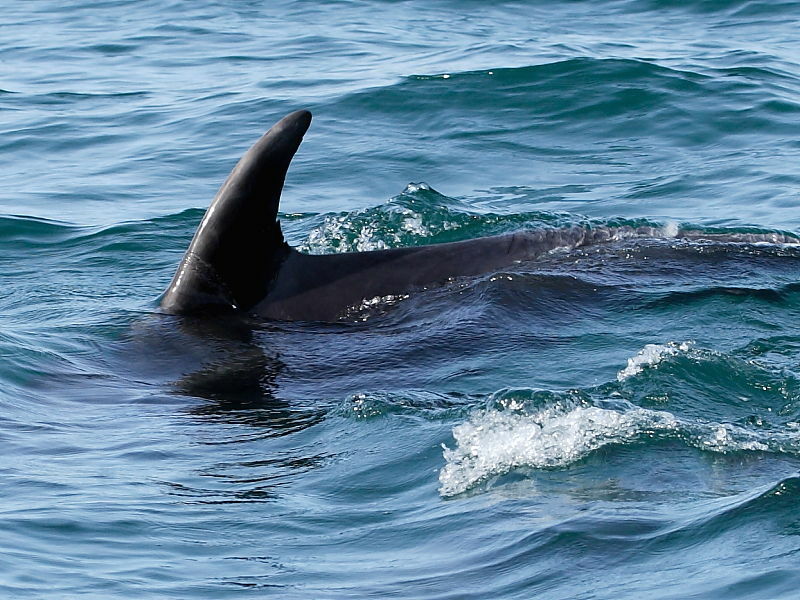 The main species are Bottlenose and Common Dolphin. Basking Shark may be seen during settled weather between May and September but numbers are extremely variable from year to year. Oceanic Sunfish appear every year in the summer but sharp eyes and binoculars are required to pick out their dark dorsal fins cutting the surface. Good numbers of Cormorant, Shag and Fulmar nest on the cliff ledges and on Godrevy Island. The waters of St Ives Bay can hold large concentrations of small fish which attract huge flocks of diving birds. Many thousands of Razorbill and Guillemot can be seen at times. 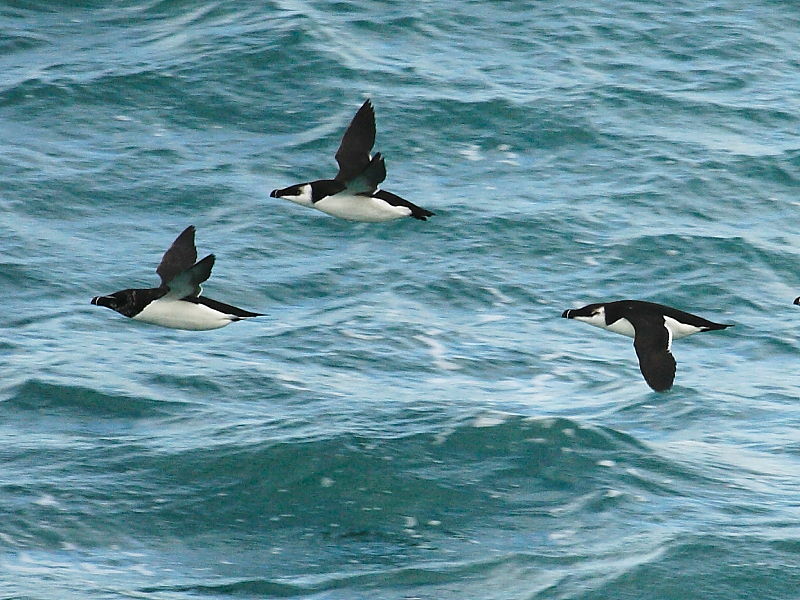 The best time for passage seabirds is between April and October during their autumn passage. Kittiwakes and several species of Skuas, Shearwaters and Petrels can be pushed close to the headland by strong onshore winds. Views are often distant but hundreds of Manx Shearwater can sometimes be seen passing by. Balearic Shearwaters are increasingly being seen in St Ives Bay and along the north Cornish coastline. More recently Chough have been recorded in the area.